You must go with a local gorilla safari group licensed to lead the trek. The tours are by rangers from the local community that are being taught that tourism is a means to economic gain. As a result, the rangers often sleep near the troops to protect them from poachers. The vines of the forest floor tangled in our boots and often brought us to our knees as we trekked for six hours up the steep incline in the aptly named Bwindi Impenetrable Forest. At the top of the mountain we finally located the troop we had been trying to reach, and our exhaustion instantly abated. 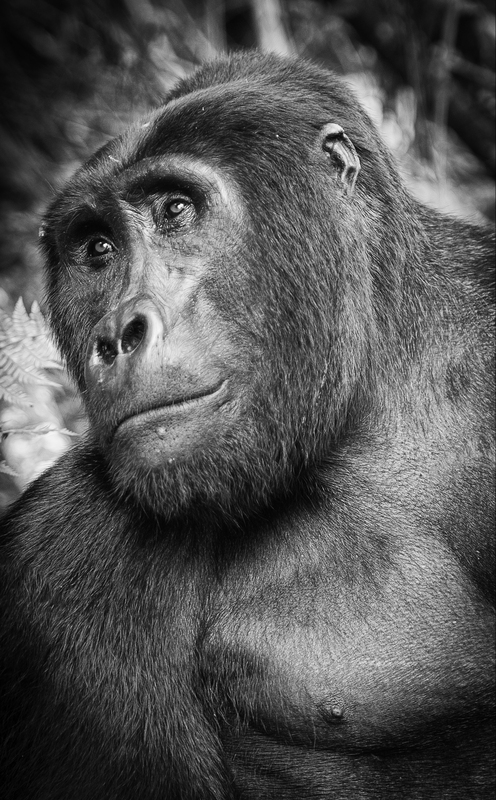 In its place, I found utter awe when this particular gorilla touched my soul with a seemingly kind and knowing glance.